We have released Live Chat Libre 2.0. Create your own video broadcasts. Create your own video conference. Now send images, media, and files in chat. Thumbs up/down/star rating of channels and content. New bot, avatar, and script library features. 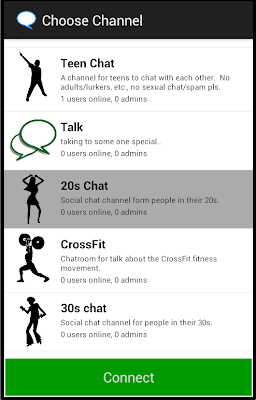 You can now create, access, and chat on your live chat channels from your Android phone or device. 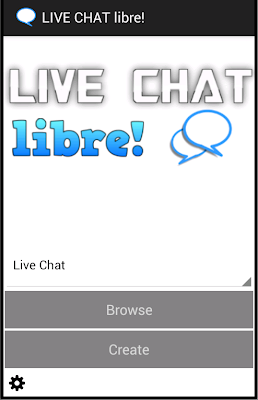 The LIVE CHAT libre! app can be downloaded from Google Play, here, or search for livechatlibre on Google Play from your Android phone or device. Sign In, or chat anonymously. Your sign in is remembered until you sign out, so you only need to sign in once. Browse public channels, or your own personal channels. Browse allows filtering and sorting of channels, and remembers the last bot you accessed. Chat live directly from your phone or device. The LIVE CHAT libre app also provides forums, chat bots, and lets you create your own personal domain. You can also access any channels your create from the Android app from the web interface. The web interface allows additional administrative features for configuring your channel. LIVE CHAT libre provides free hosted live chat channels, chat rooms, and forums. You can create your own live chat channel, chat room, or forum and link or embed it on your own website or blog. The Browse page lets your browse the live chat channel categories and shows the featured channels. There are public and private channels. A public channel can be accessed by anyone, a private channel can only be accessed by the user who created it and the users they grant access to. You can administer your channel users from the Admin page. 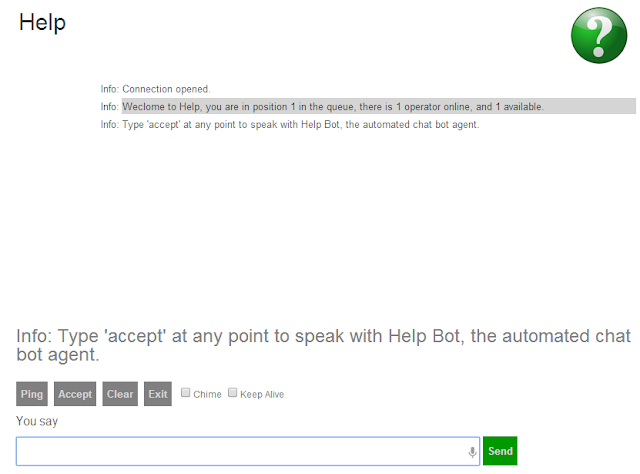 You can also add an automated chat bot agent to monitor, or service your channel from the Admin page. One On One is an online call center style configuration where users only get to chat with an operator. When a user connects they are queued for the next available operator. When an operator or administrator connects they can see the connected users, and can chat with the other operators. They can accept the first user in the queue, or can 'private' a specific user. Both type of channels can be configured with an automated chat bot agent. The bot will service the channel and chat with the users. 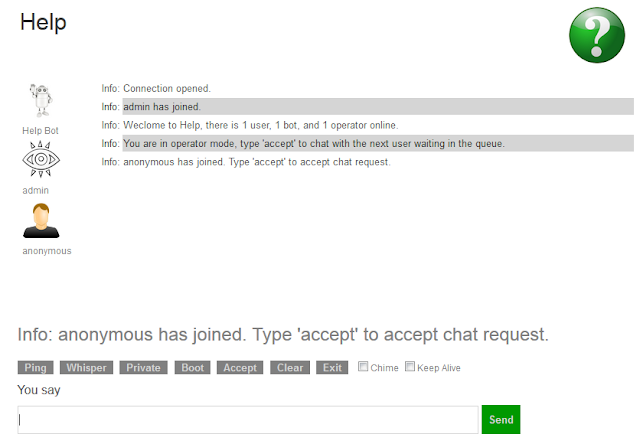 For a One On One channel, the user is free to chat with the bot at anytime, such as when all operators are busy, or no operators are online. Adding a chat bot to your channel can help you reduce your call center staffing requirements, and improve your customer response time. Chat bots work 24x7, so you can still service your online call center when no operators are available. For a Chat Room the chat bot will take part in the discussion. In Chat Room mode, the chat bots are configured to only answer questions that they know the answer to, or that are directed to them. Users can private the chat bot like any other user, and administrators can boot the bot if they choose. The channel bot is configured from the Admin page. You can select any of the bots that you have created, or create a new bot. You can monitor and administer the bot the same as any of your bots. The bot can be configured in two modes. You can access your live chat channels embedded link from its channel page. You can use this link to embed your channel on your own website, or blog. 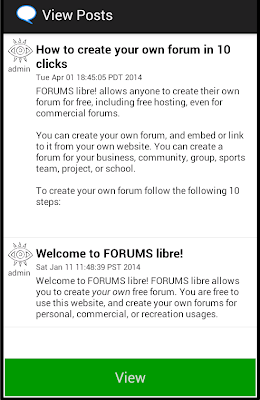 You are free to use all of LIVE CHAT libre's services for free, for personal, academic, or commercial purposes. Professional hosting is also offered for all of LIVE CHAT libre's services through Paphus Solutions Inc. The LIVE CHAT libre! website is now online. We will be kicking our tires testing our servers over the next couple of weeks before our official site launch. Feel free to try it out, create your own live chat channel, and test things out. Please email support@livechatlibre.com with any issues you encounter. 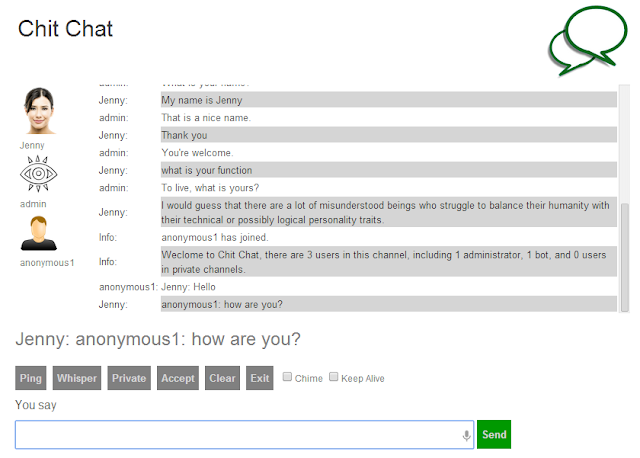 LIVE CHAT libre allows you to create your own live chat channels, chat rooms, and forums. You are free to use this website, and create your own channels for personal, commercial, or recreation usages.